Lets say you are at a conference or a hackathon. 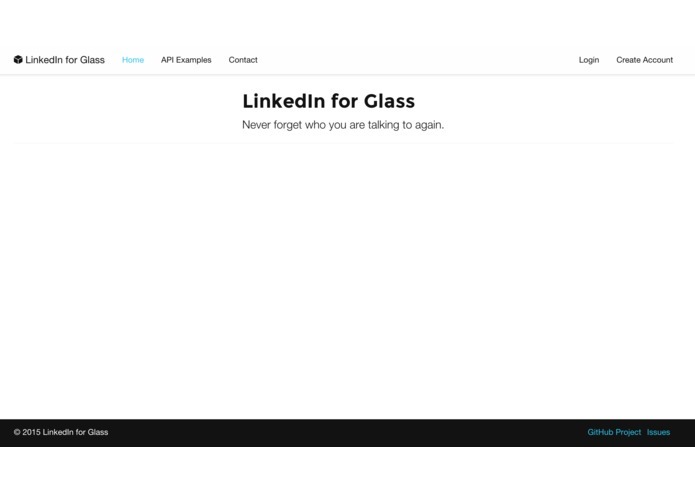 ScandIn lets you take a picture with Google Glass, and then it sends the image to our Node.js backend, uses a face recognition algorithm on the image to find one of the users that is already in our database, and then returns basic information about that person based on their LinkedIn data, which is presented on the Google Glass. It is also very good for networking, with its LinkedIn integration.